When I spec'd out my brakes I talked to wilwoods tech department a bit and even with the 6 piston fronts and LS Fbody rears they recommend a 1"MC with the 8" dual diaphragm booster. I was looking for a bit more travel for modulating with the pedal. The LS Fbody rears fit inside my 15" rims. No grinding or modification needed. I installed Turna's MC and it is a bolt in affair. You also don't have any metric bubble flares on your car, mine is an 1987 Regal and not a single bubble flare on the factory lines. Only had to change a couple line ends to 3/8x24 IF to bolt in my wilwood adjustable prop valve. Brake mods on a G are surprisingly simple to accomplish. I took pictures of three master cylinder outside bores to illuminate the problem with using a B-body master on the pre'81 stock booster. 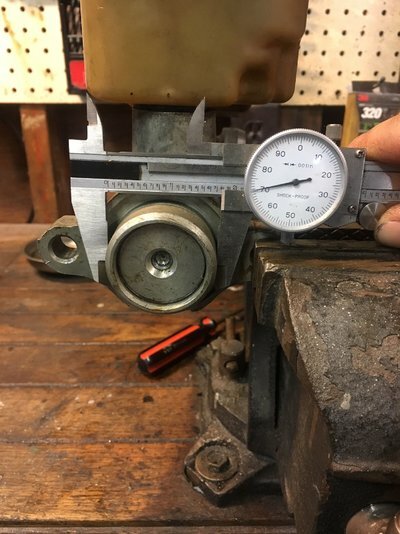 The Riviera master is .010" in diameter and fits comfortably into the booster, but the F-body master is close to a 1/4" too large in diameter. 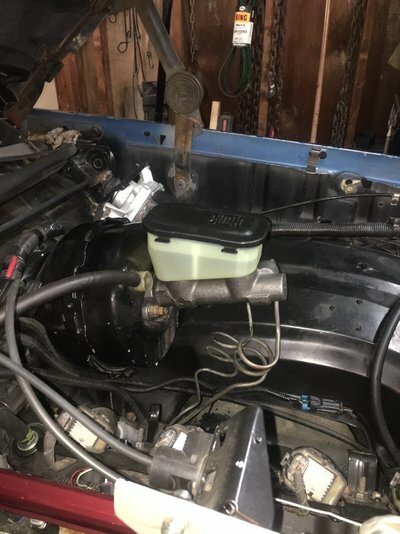 From looking at photos around the internet it's visible that the '82 and newer have a larger bore booster. 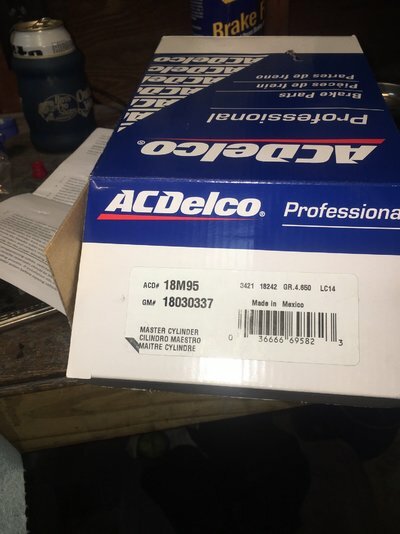 So is ACDELCO 18M95 the master you wound up using? I’m looking to fix/upgrade my brakes on my 78MC. 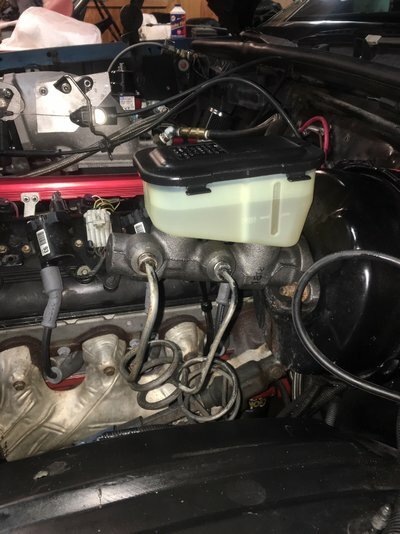 right now the master, booster and prop valve are stock with stock front and 4th gen f body rear. I think the master went bad. Stiff at first then straight to the floor. 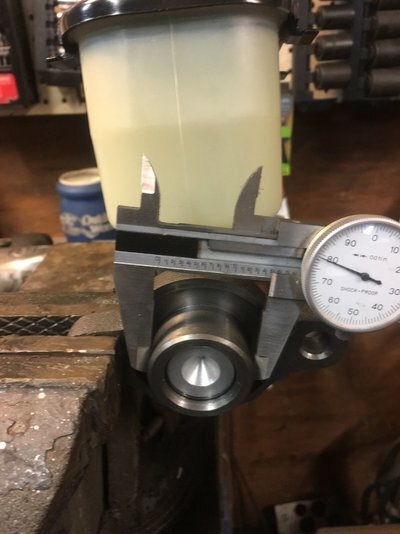 What master will fit the stock booster that has a bigger bore and thread on caps. And does anyone have a part number for the disc/disc valve? I can't see a reason it wouldn't work. But he says he wants a screw-on cap. I don't see the big deal about that. 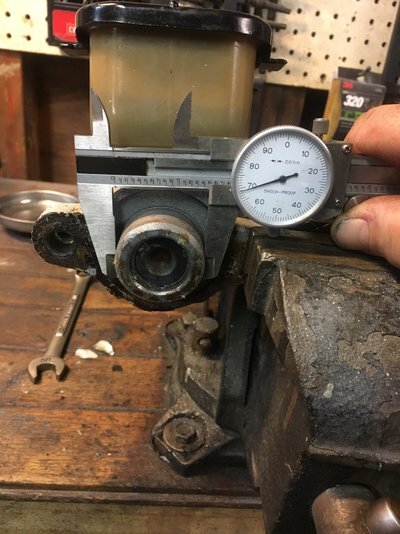 It is a little harder to R&R the big cap but it's not like it needs to be done very often since you don't need to remove the cap to check the fluid level. master cylinder -which port is front brakes? sguiggly coiled (Flex joint / circle) brake lines out of master cylinder needed?